Photo courtesy of Crafts By Amanda. What boy doesn't love super heroes? 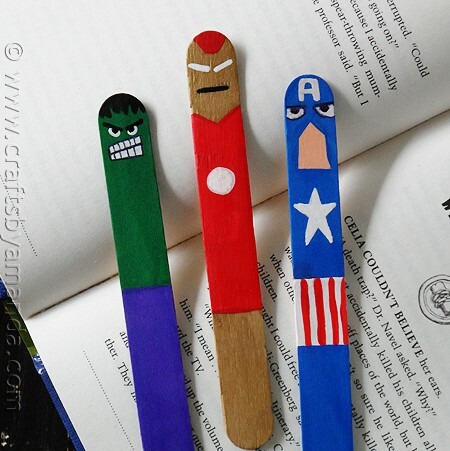 Check out Crafts By Amanda for this Avengers bookmark tutorial using inexpensive craft sticks. What super hero is your campers favorite?